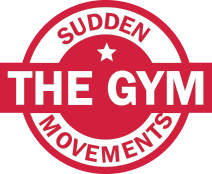 The Sudden Movements Gym looks completely different to a traditional gym. In place of treadmills, elliptical trainers and exercise bikes we have equipment that works to maximise the ethos of Sudden Movements. The gym area is designed so that each member can work freely regardless of whether they are part of a group session or training individually. Expansive floor space, a dedicated strength and conditioning zone as well as two functional training rigs allow for a diverse training session on each and every visit to the Sudden Movements gym. Since our launch in January 2013 we’ve already helped hundreds of clients to reach their full potential and peak fitness – we look forward to welcoming you and helping you achieve your goals too.